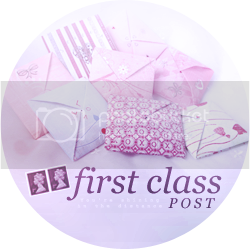 First Class Post - because this post is first class! The fifth book in the series! I still need to get past book two, unrfortunately; I had some issues with it first time round. But I loved the first book, so I'm hoping to get through it at some point! Wooo! I am SO excited to read this book! Last Breath ended on SUCH a cliff hanger, and I'm so glad I can finally find out what happens next! 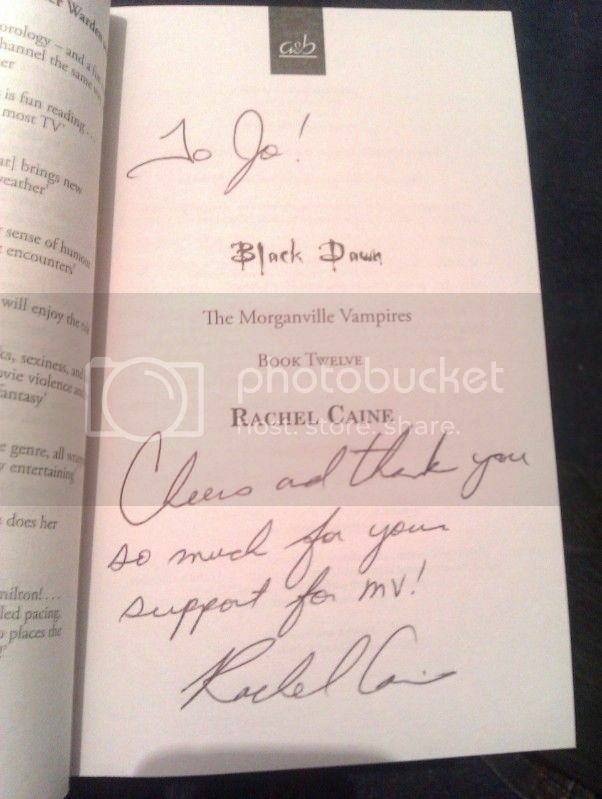 And, as I host the Morganville Vampires Reading Challenge over on Ink and Paper, the lovely publicist asked Rachel Caine to sign a copy for me when she was in the office last week (see below)! Eee, I'm a happy chappy! I now have a finished copy. Looking forward to trying this! Whoop, the last book in the series! I still have to read the second book, but I absolutely loved the first! Looking forward to seeing what happens! How GOOD does this book sound?! Eeee, I am excited! Gots to love me some magic! Really looking forward to reading this! Thank you! I'm really looking forward to Chime, it sounds so intriguing! Hope you enjoy it too! Hopping thru checking out mailboxes! Come see what I got at Gimme's Goodies this week! Happy Reading! Oh, thanks for following! Chime does sound really good, I'm looking forward to reading it! Thanks! So jealous that you have Changeling! i can't wait to read it! Oh forgot my link Letterbox Love! Why did you stop IMM? I've never done it, so I don't really know much about it, but every blogger who was previously doing it, has stopped, and I don't know why? CHANGELING! I've been seeing this in so many mailboxes this week. I am super excited to get my hands on a copy. I haven't read a good YA historical novel in ages and I've also been hearing GREAT things about Philippa's books! Oooh SHINE! I need to catch up on Shift asap. This series has seriously been haunting me lately. The universe is obviously telling me something. And CHIME! Really can't wait to see what you think of that whenever you get around to reading it. Maybe I should just come take a holiday in your bookshelf :D Enjoy!! Changeling looks good! I'm not too big on historicals, but I can look at it as a high fantasy! And I haven't read a high fantasy in forever! So this could be awesome! 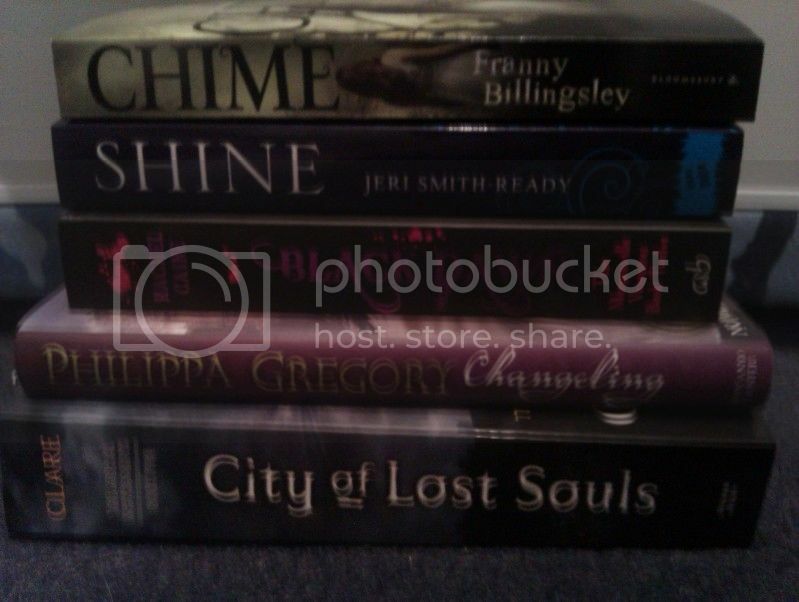 I also need to read Shift! I loved the first book, though, so excited to continue with the series! Thank you! Haha! How'd you manage that? I still have the rest of the series to read, lots of catching up to do!